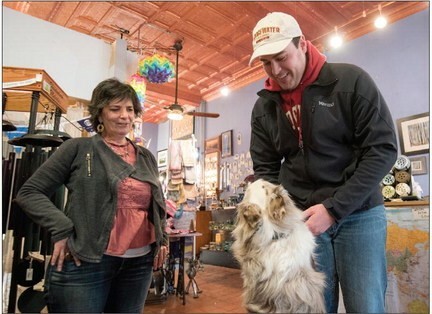 Daily News- Record ELKTON — If you had asked Josh Gooden 10 years ago if he would want to be mayor of Elkton, he probably would’ve said no. Now, Gooden said, he couldn’t imagine serving his community in any better way. “I’ve always been interested in community service, and this just kind of ended up being the route I went to continue to serve in the community I grew up in,” he said. Gooden, 25, is a native of the town of less than 3,000 people and has no plans to leave. He was sworn in as mayor earlier this month after serving six years on Town Council. In high school, Gooden attended council meetings to “stay in the loop,” and volunteered when he could. Matt Rhea, a physical education teacher at East Rockingham High School, was Gooden’s basketball coach in middle school and said he came up with the nickname “Mr. Elkton,” which ended up being on Gooden’s license plate. Rhea said he would joke with Gooden in middle school saying he would become mayor one day. Gooden wasted no time in taking on his new role as mayor after defeating incumbent Wayne Printz in the November election. Printz served as mayor for 12 nonconsecutive years. Gooden said the election divided residents, but in the last few weeks, he has been taking the time to talk to people to try bring the unity back. Councilman Jeff Jones, who just began his second four-year term, said Gooden has many good qualities. Councilman Randell Snow said Gooden is devoted to his community and wants the best for it. Now that Elkton has turned over a new leaf, Gooden said he is being reminded of what makes the town of Elkton special to him — the people. And he wants to continue to bring that “togetherness” out, he said. One of the ways Gooden likes showcasing the community’s “togetherness” is through photography. He said he spends a lot of time taking pictures of historic architecture, sporting events, ribbon cuttings, parades, people in the community and events, such as Elkton Autumn Days. Gooden said both of his grandfathers played a significant role in his desire to stay connected and involved in the community. Charles Buracker, his maternal grandfather, was a councilman and mayor in Stanley years back, and his paternal grandfather, Bobby Gooden, was involved in civic organizations in the county and in Elkton. He served on Planning Commission and Parks and Recreation Commission. Gooden’s paternal great-granddad, Joseph Black, and his great great- granddad, James Black, also served as the mayor of Elkton. Gooden, who works as Rockingham County’s economic development and tourism coordinator, said he doesn’t plan to seek higher elected office, such as the House of Delegates. In the end, he said, he just wants to be known for his passion for his community. Solace Studios Fine Handcrafts owner Barbara Polin.